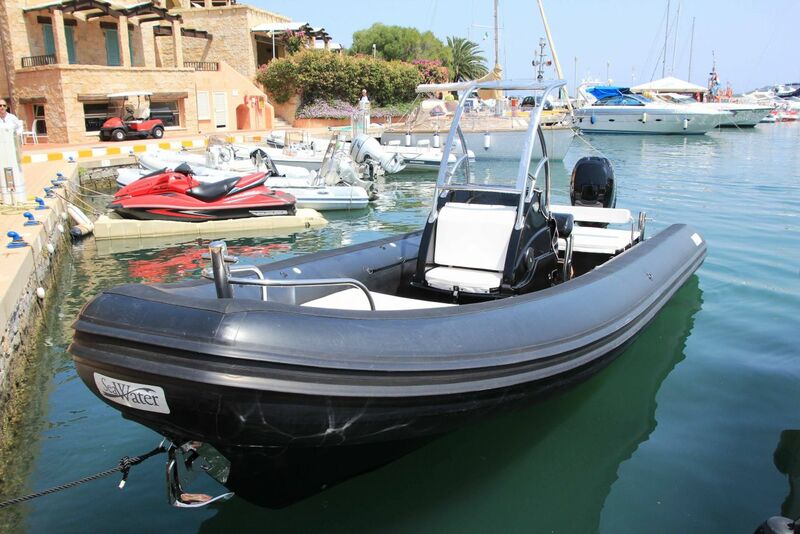 The leading model in the medium size range of our of boats, the SMERALDA 250 is a modern RIB with a simple but stylish design. 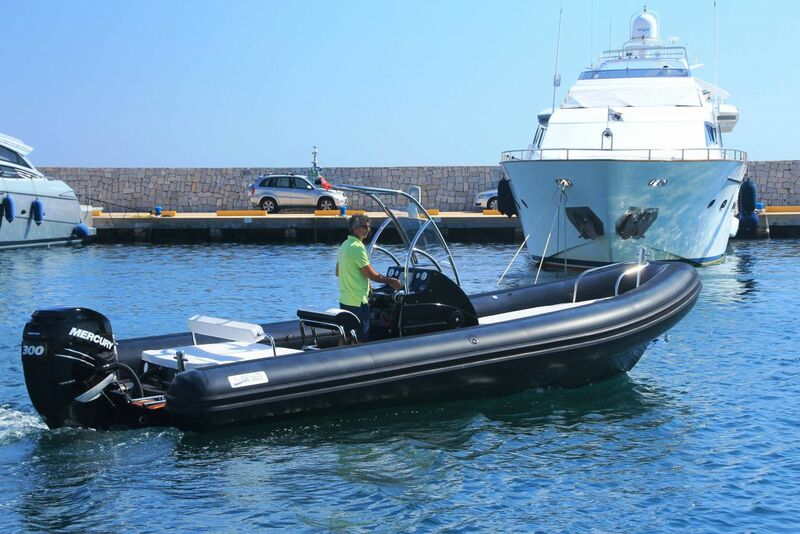 A truly complete RIB, with all the features and fittings for an all-round comprehensive pleasure use and a boat with superior marine performance and extraordinary sea handling. 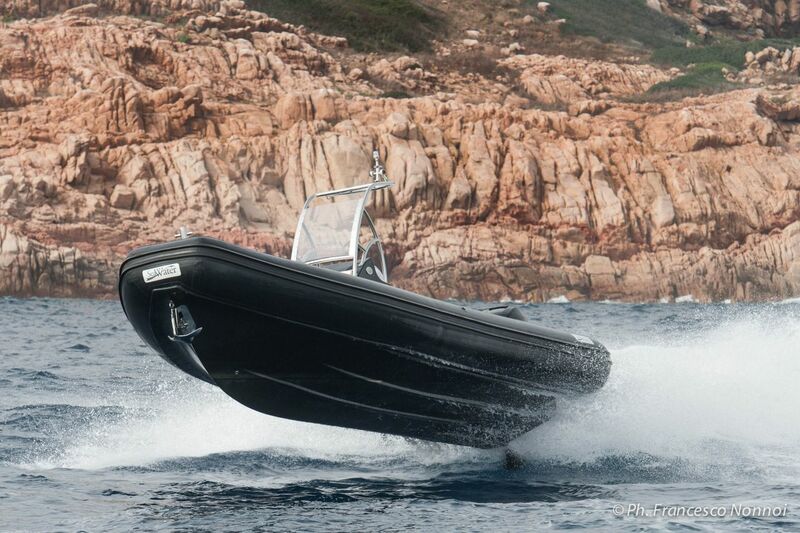 Nothing has been left to chance to make the SMERALDA 250 an example of excellence in our range of medium sized RIBs, starting with the vast assortment of standard fittings included. 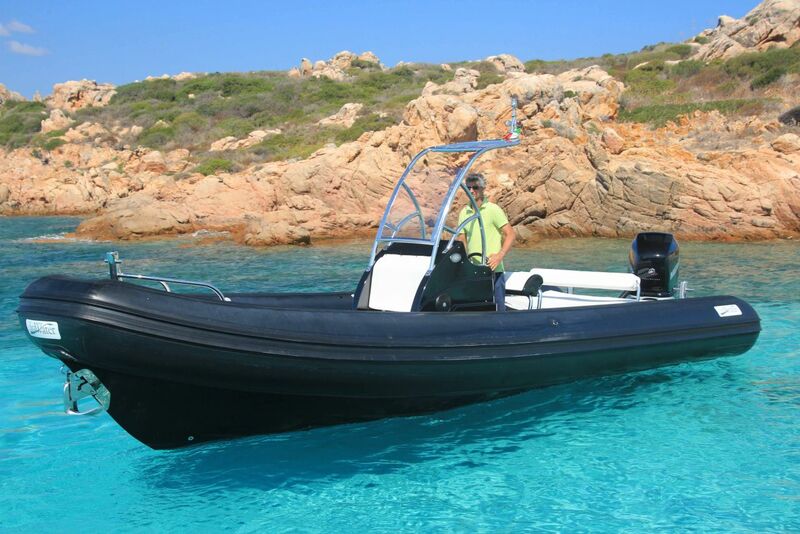 No other RIB of this size on the market can boast a similar array of fittings or the use of materials and finishes common on much bigger craft. 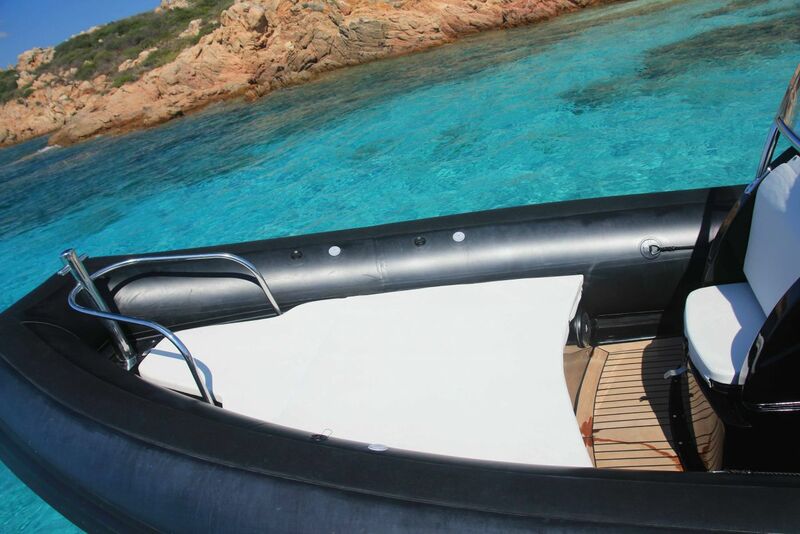 A spacious bow sun pad with a large underlying storage locker, a large stainless steel bow mooring pole, a hull housed anchor with an electric anchor winch, a rich and generously sized steering console, including a front seat with a locker (optional refrigerator), a large instrument panel, a stainless steel frame grab-rail with windshield, leaning post driver’s seat with 50mm stainless steel tubing, an enormous stern sun pad which can act as a divan thanks to a reclining backrest and with a large storage locker underneath, stern stainless steel mooring poles, an antiskid safety strip on the tube and finally a shower and a 300 litre steel fuel tank. 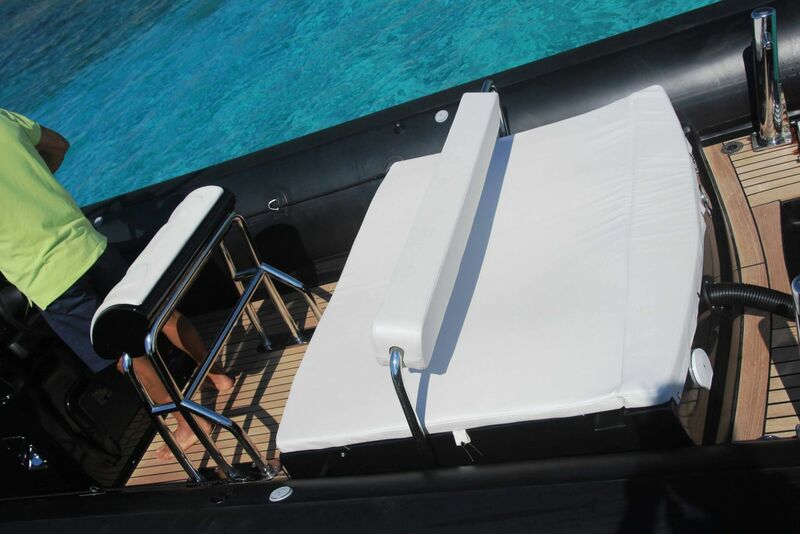 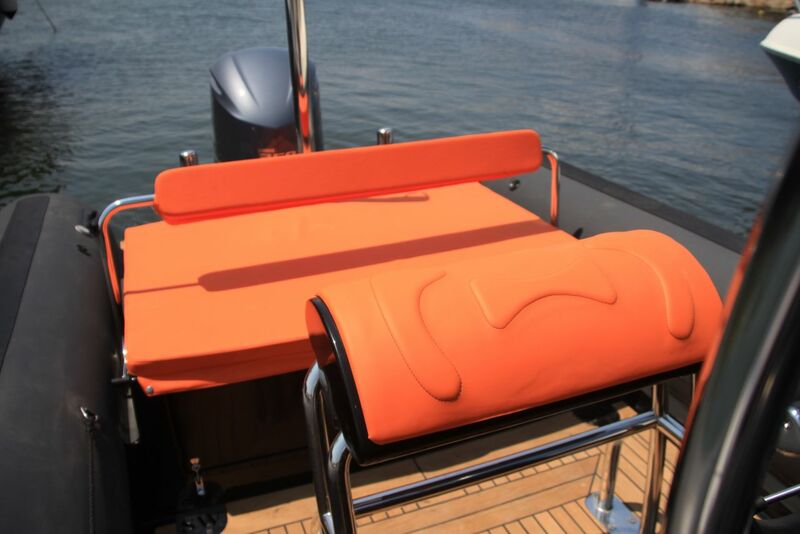 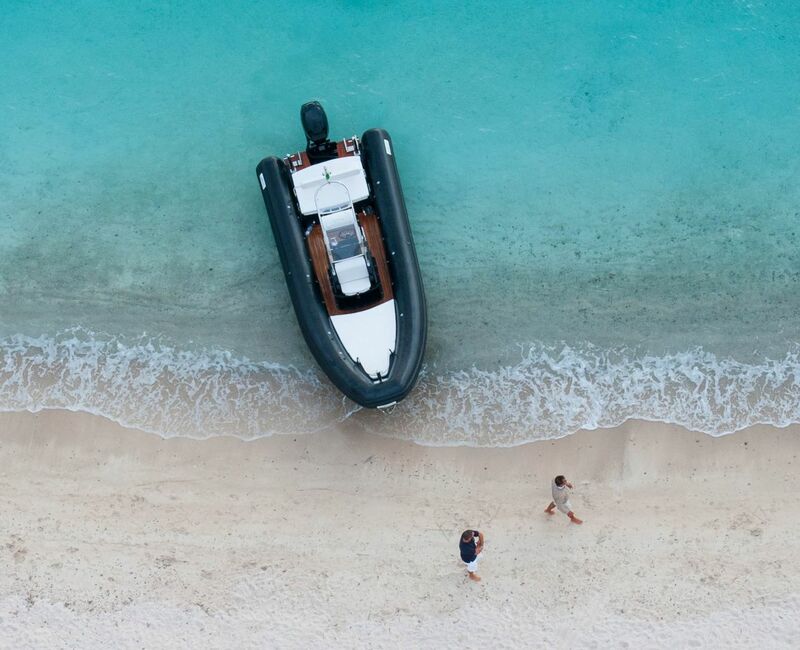 By adding on the extra accessories such as the ‘T-Top’, the solid teak deck or the refrigerator, your SMERALDA 250 will become a high end RIB with all the comfort you need. 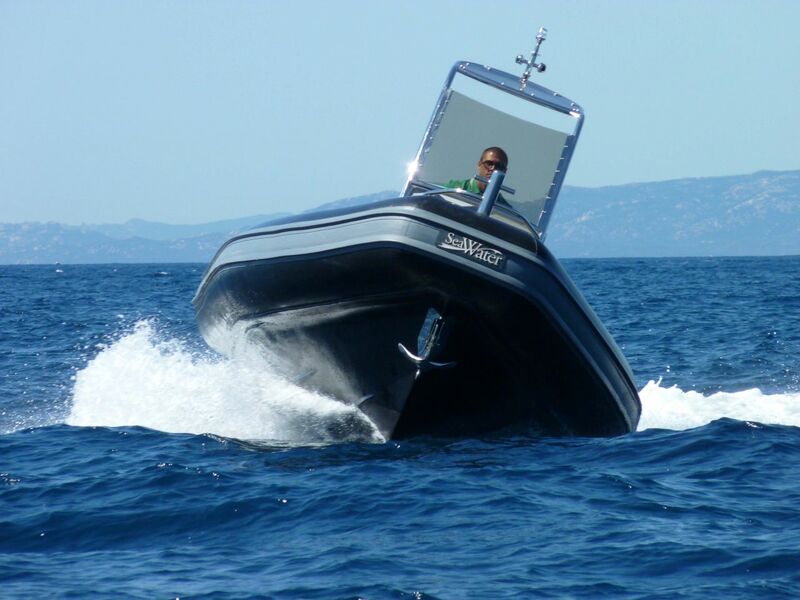 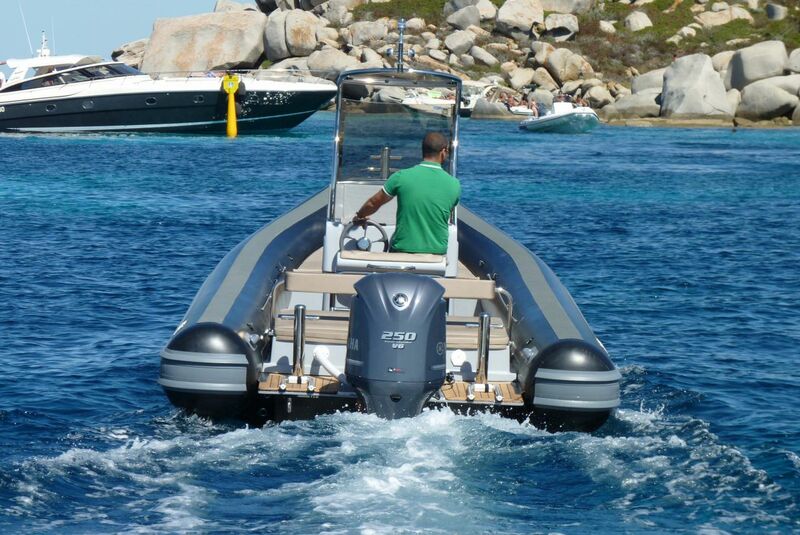 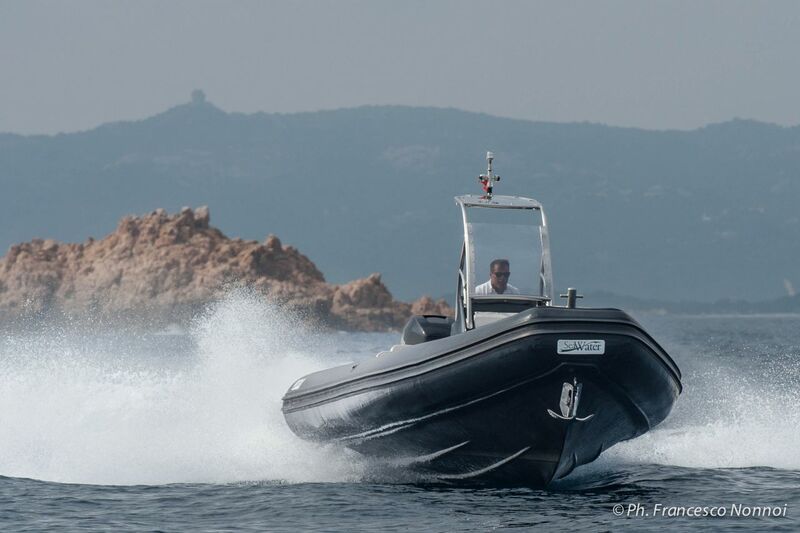 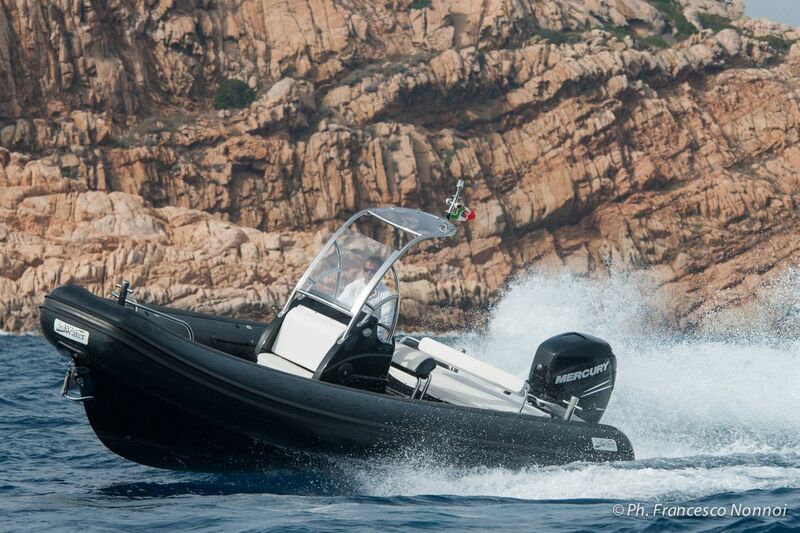 The Sea handling characteristics of this RIB are in our best tradition and the SMERALDA 250 features superlative handling and is always dry and safe and fuel autonomy is incredible. 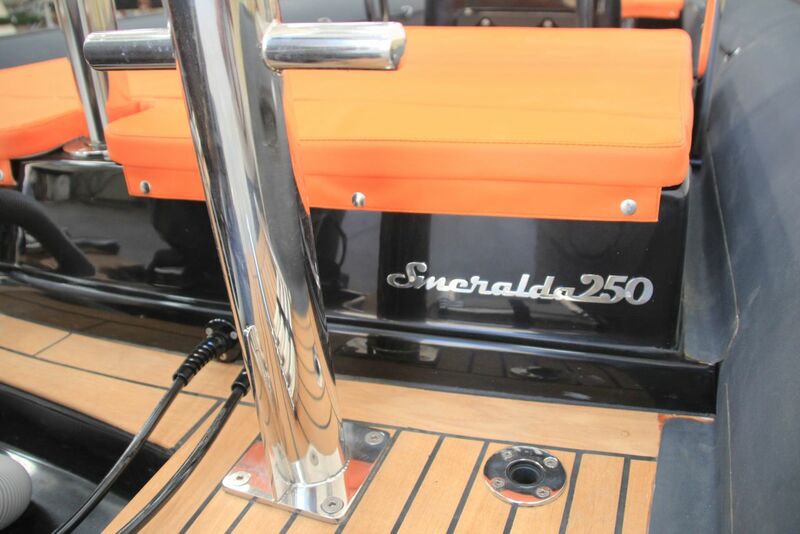 Colours and styles, which you can choose from an incredible variety of tones, will make your SMERALDA 250 unique. 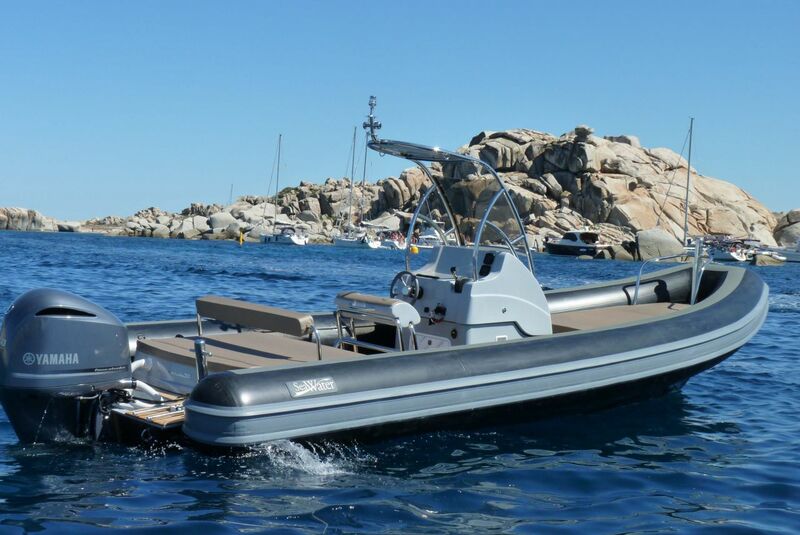 For technical information or a price quotation about this product 250 Smeralda fill out the form below.